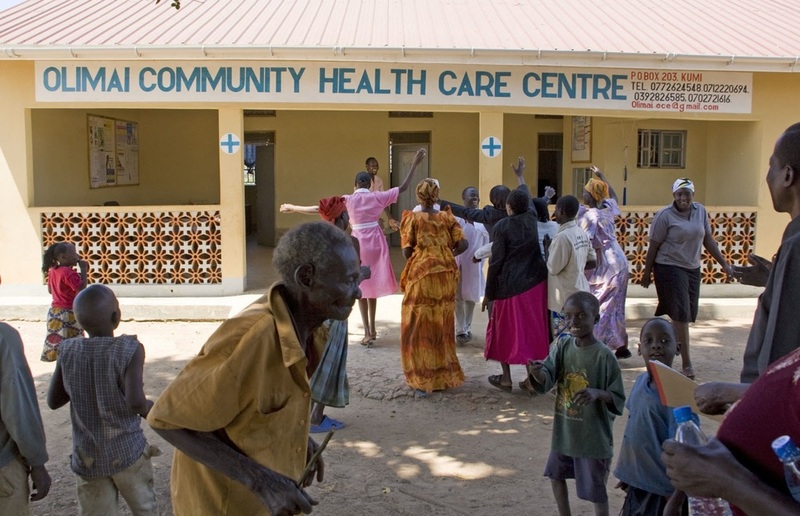 The Olimai Community Healthcare Centre was constructed in 2008 in Olimai Parish, Kumi District, NorthEastern Uganda. Prior to the establishment of this clinic, the community members might have to go 8-30 km to get health care. Of course, with poor roads, limited means of transportation and widespread poverty, this paucity of health facilities in the region limited access to most people. The Health Centre provides Level 2 care to the region (triage, treatment of minor conditions, HIV counseling, immunization, prenatal care and emergency deliveries, basic childhood illnesses.) The catchment area has expanded to other 4 parishes giving total population of about 13,500. CanAssist has funded the development of a rainwater collection system and storage tanks for the clinic to provide clean water for clinic use where none is readily available. In June 2011,CanAssist supported purchase of $2400 of medical equipment for the Clinic. Some of the items purchased included a delivery bed, sterilizer, lab equipment including a new microscope, baby scales and an infant ambu bag. In early 2012, CanAssist has purchased hospital beds to help equip the Olimai Clinic and also provided Solar Power improvements to the clinic. Previously the solar power would run out early in the evening, meaning that deliveries done overnight often were done in the dark or with a flashlight or lantern as the only source of light. Their new solar equipment will provide electrical power throughout the night. In June of 2012, CanAssist supporters visited the Olimai Health Centre and took with them funds to purchase needed hospital equipment and to complete the maternity building and ward that was under construction but had run out of money. 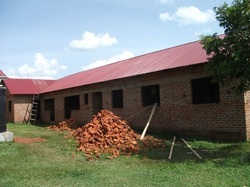 We quickly received photos of the new red roof and expressions of appreciation from the community. In 2013, CanAssist will fund purchase of ten new hospital beds and also provide more rainwater catchment for this clinic. If you wish to support this project, specify OLIMAI with your gift.